Straps today (and for quite a few days hereafter)! Straps are my favorite parts of bags. And they are important like you wouldn't believe. 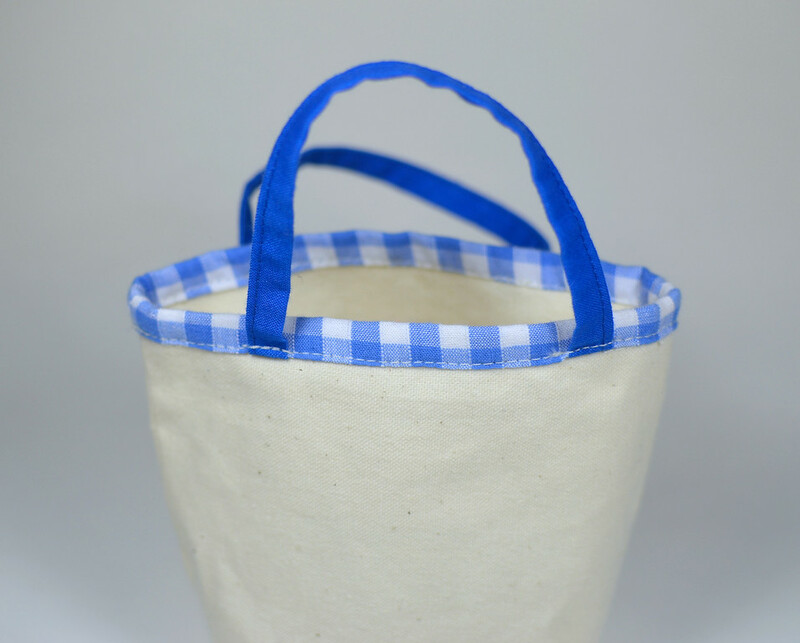 They are so important that they must be considered before anything else can be designed in a bag. 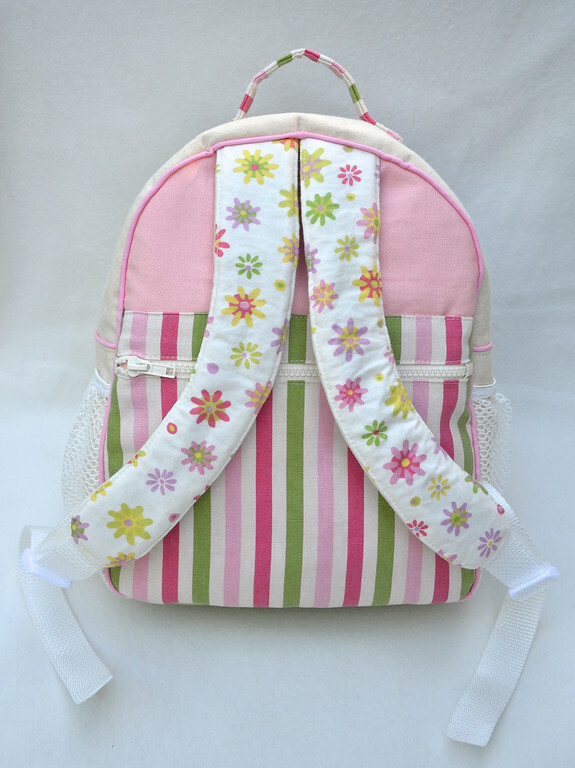 Often, the straps will be made before any other part of the bag is assembled so that they can be incorporated into a seam or sewn onto the flat pieces while these pieces are free-standing and most manoeuvrable. 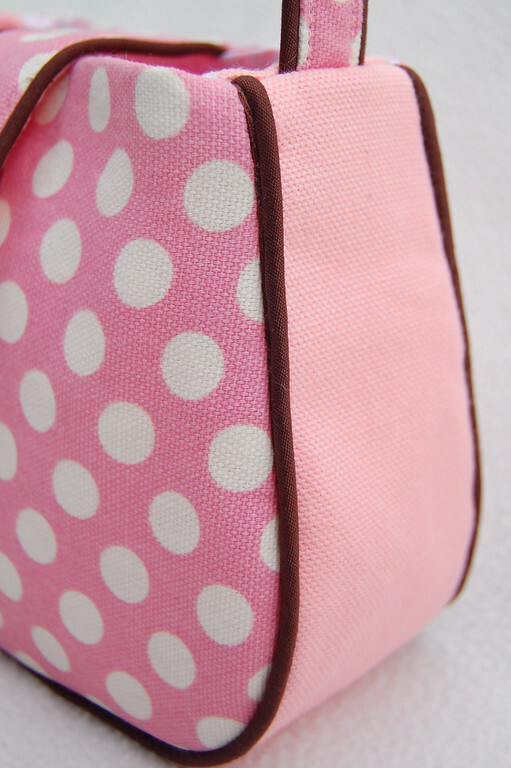 Sometimes you will pick a style/design/category of bag to make based on the straps you want. Sometimes it is the other way around - the kind of bag dictates the sort of straps to pair with it. In other words, straps and bag design are interrelated; straps are not afterthoughts you slap on a sack just to have something by which to carry it. 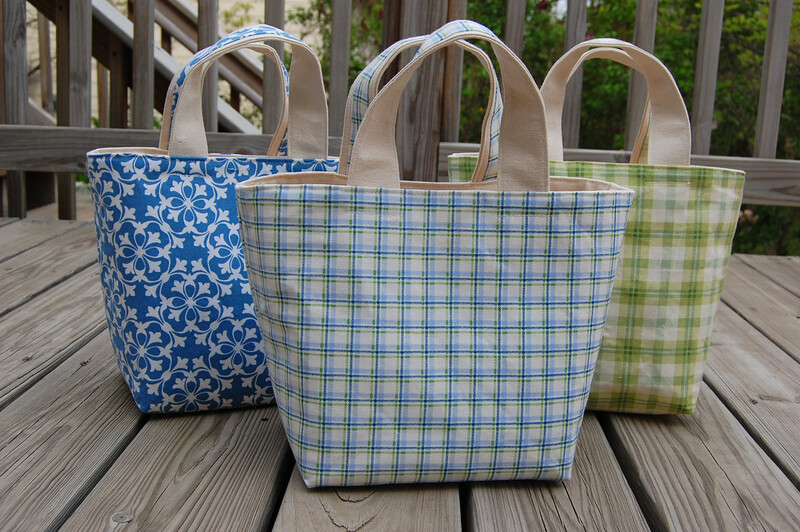 and the different ways these are commonly attached to bags. Because this series is focused on process and concepts, not techniques or details, we will not be discussing the fancy materials or purse hardware that are sometimes used to make "more professional-looking" products (whatever that means). 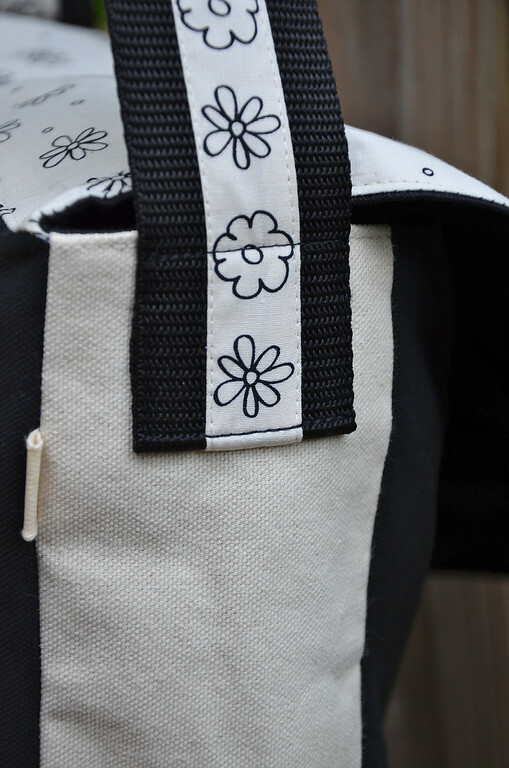 Simply for completeness, I might mention the fancy stuff in passing but we will spend most of our time on simple fabric straps that anyone can make. Some strap self-disclosure before continuing: personally, I like my straps stiff. Really stiff. Stiff to the point where they stand up on their own. This is because they soften over time and with use. So better to get a good headstart with wood-stiff straps so that by the time they even approach flaccidity, the bag itself will be ratty and torn and stained and ready for the trash. To achieve this, I use stiff fabric. Like canvas. I don't even bother with "regular cotton". Then I stabilize it with sew-in and fusible interfacing, the heaviest I can find. And maybe an extra internal layer of canvas. You, however, are free to make your straps as soft and pliable as you like. In the following photographs, I'm going extremely easy on the interfacing. In fact, I'm only using the token amount of interfacing just so it shows up in the photos for your reference, okay? Open-Ended Straps are those with both ends unfinished i.e. open. 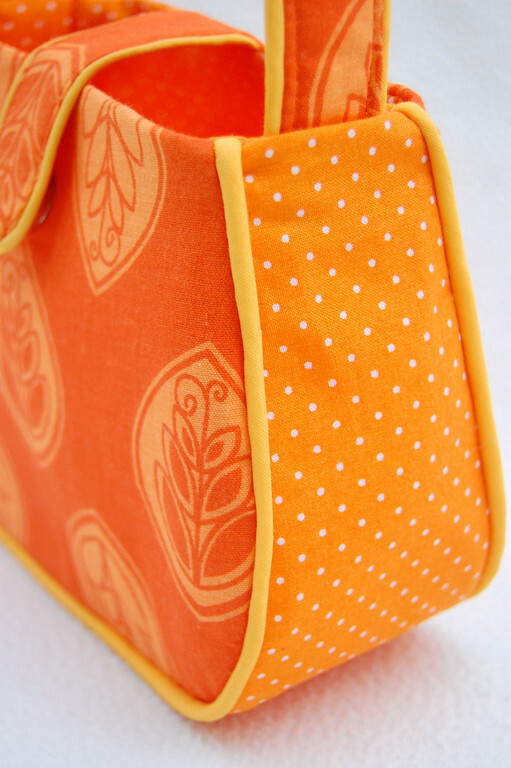 Open ends, being untidy and weak, have to be inserted into seams rather than sewn onto the surface of a bag. Later, we will see how this is done; first we will look at some different kinds of open-ended straps. Sometimes, you'll want straps that are of the same fabric -or something coordinating - as the bag itself. In such cases, you would make them. 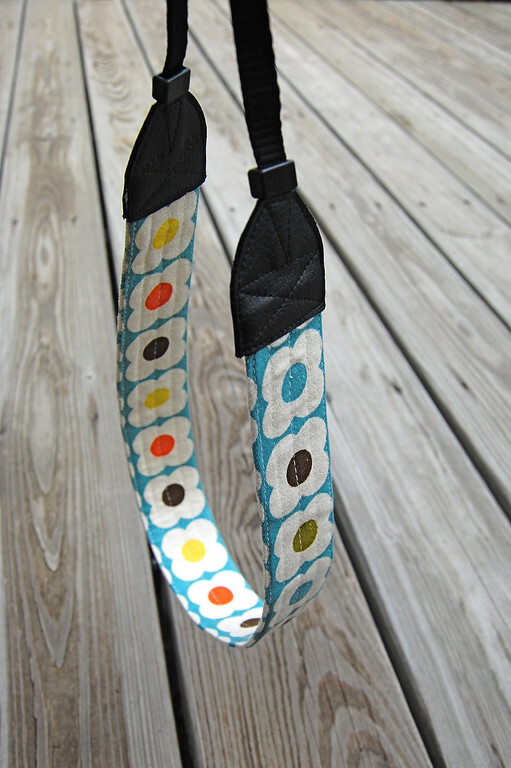 This, along with the following one-fabric variation, is the most common kind of handmade bag strap there is. 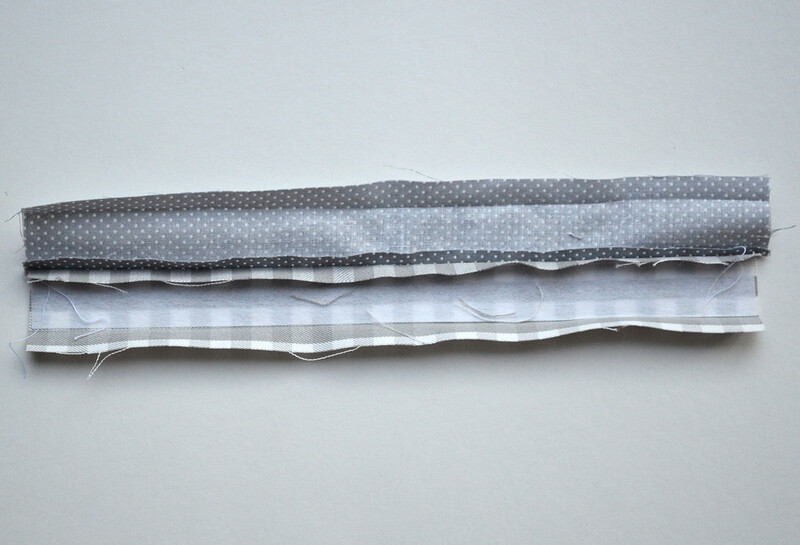 Two-fabric straps can obviously be made in a single fabric so they are the same on both sides. 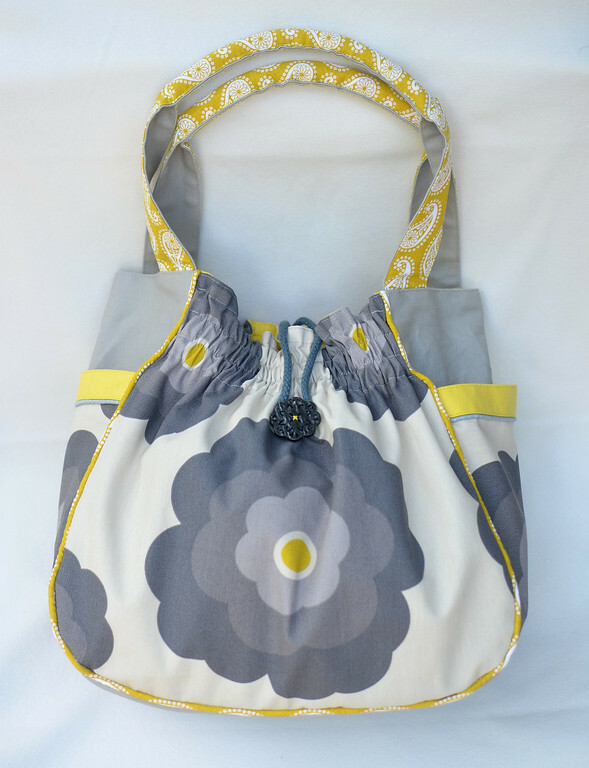 However, using two fabrics - one coordinating with the outer bag and the other with the lining - means the strap is as reversible as the bag itself. We begin with two strips of fabric laid RS together. 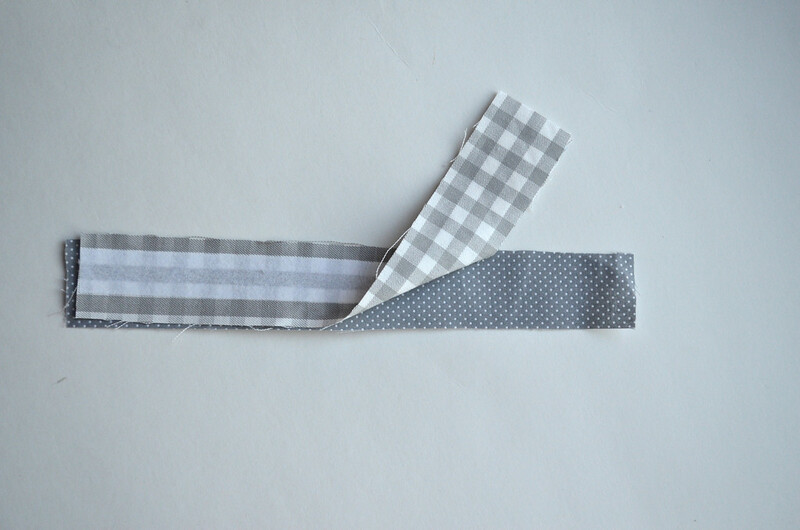 Sew along one long edge to join them together. Then press open all the seam allowances as shown. Note: I don't sew along both long edges and then turn the whole wretched thing right side out through one open end. It is unspeakably impractical, especially if, like me, you are using stiff fabric (gets stuck), or interfacing (crumples and softens), or if your straps are narrow (slow death by chopstick). However, don't let me dictate how you should sew your straps. Go ahead and do the tunnel thing with yours if you're used to it - to each her own. 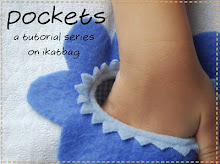 Fold the WS together, tuck in all the seam allowances and edgestitch (i.e. 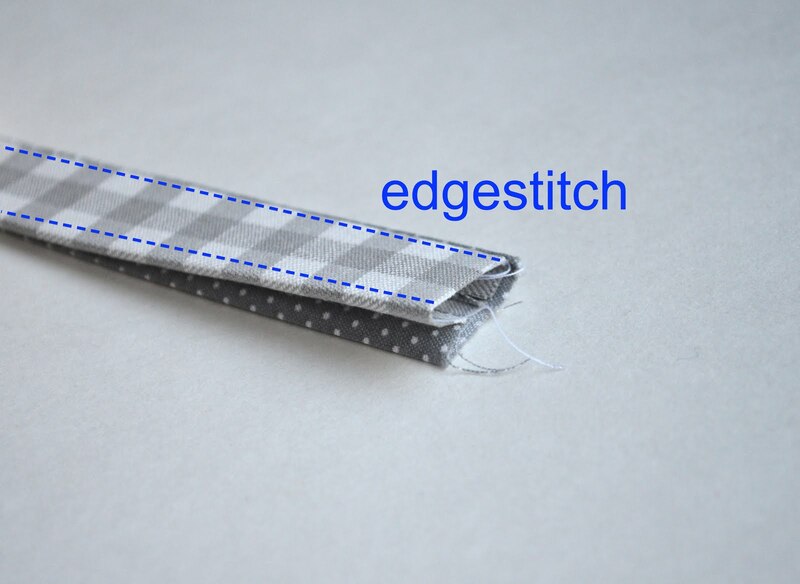 topstitch but very close the the edge, like 2-3mm) along both long edges to finish. 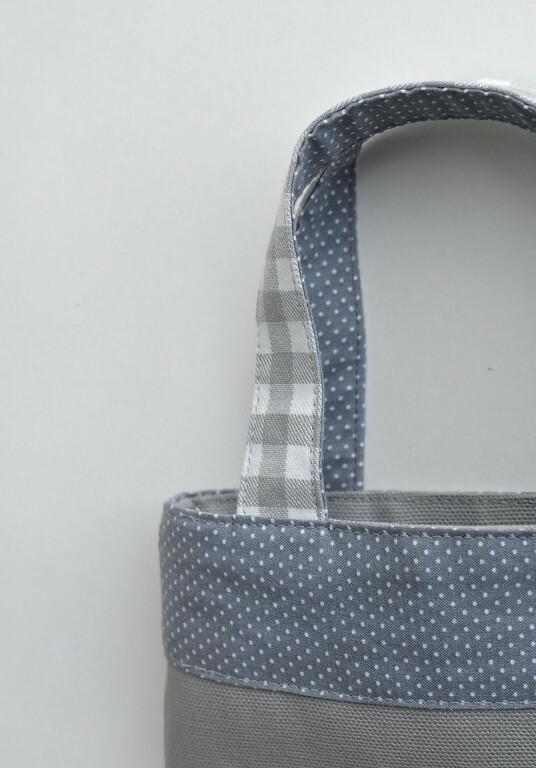 This is exactly the same as the Two-Fabric kind except that the whole strap is cut double-width in one fabric, folded along its midline, SA tucked in, and edge-stitched along both long sides. 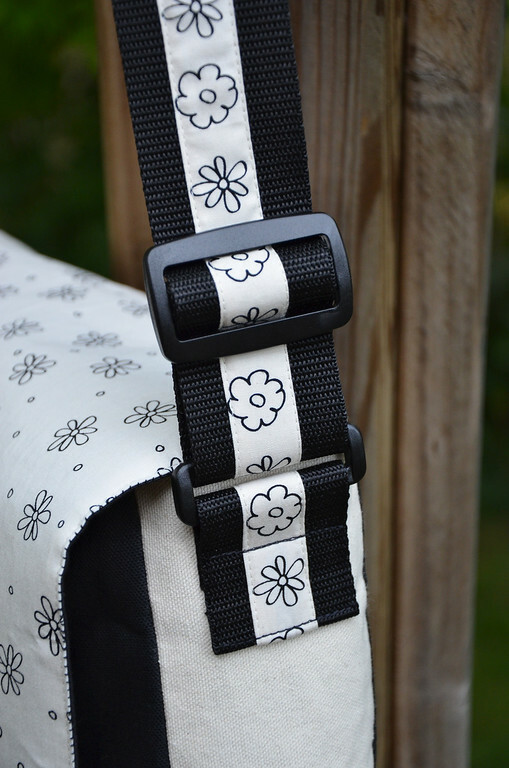 Now let's learn some ways to attach these open-ended straps to bags! 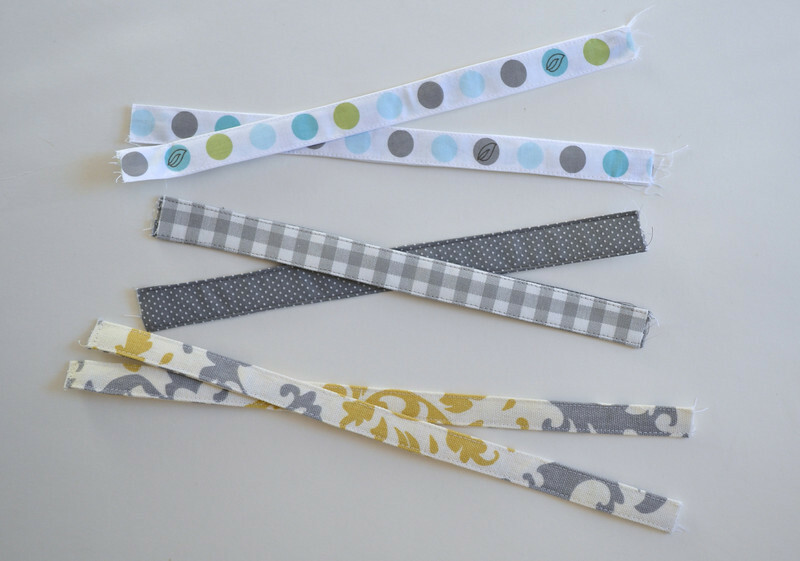 The specific steps may be different but all involve inserting the ends of these straps into seams. 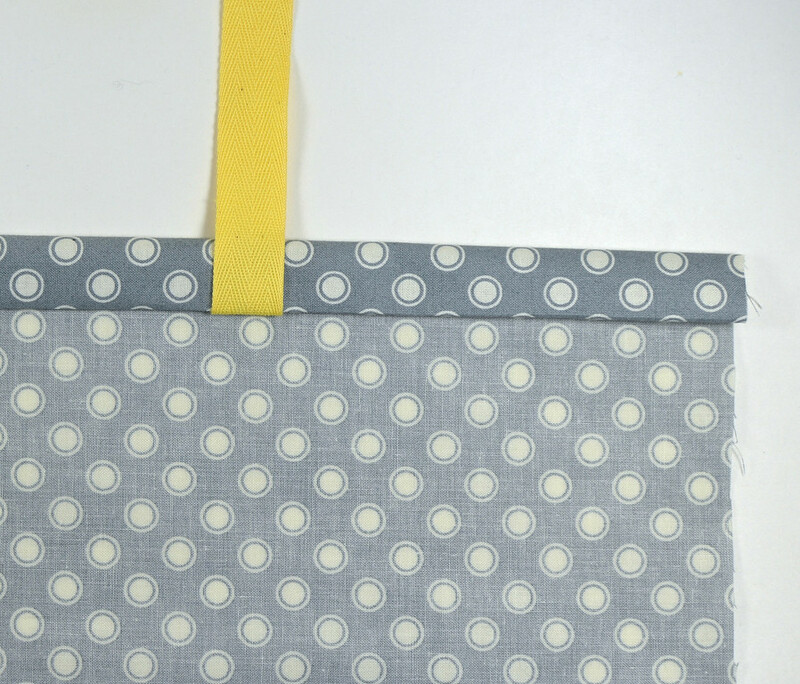 A lined bag is simply a bag with a second, identical bag (except the fabric may be different) shoved into itself so the WS of both bags are together and all the icky raw edges are concealed. 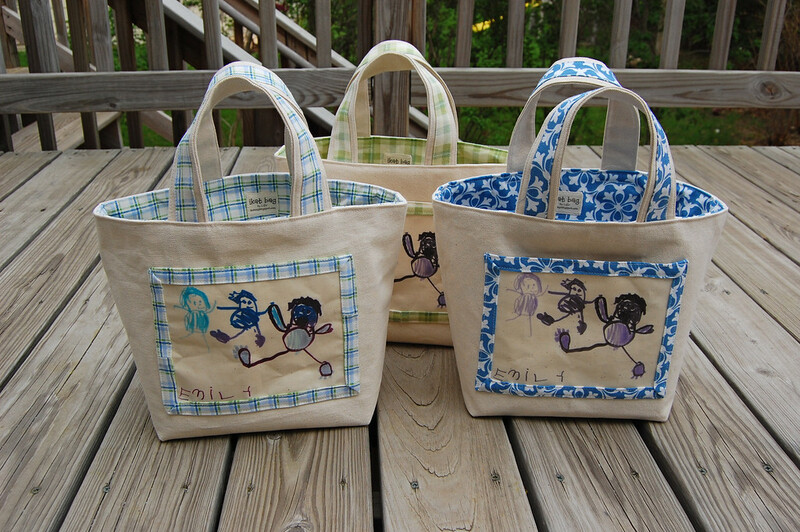 These two bags are most often sewn together at their openings/mouths/top rims in a seam. 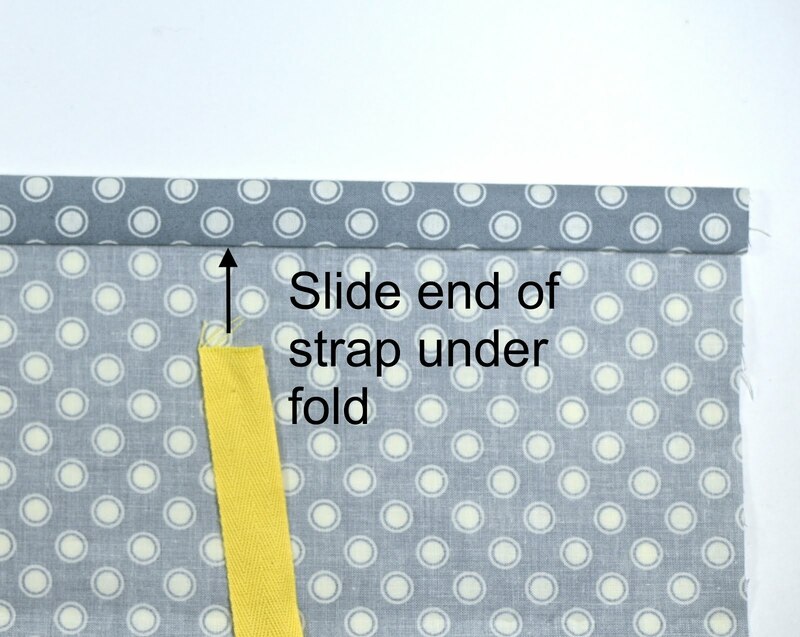 It is into this seam that the ends of the straps are inserted. 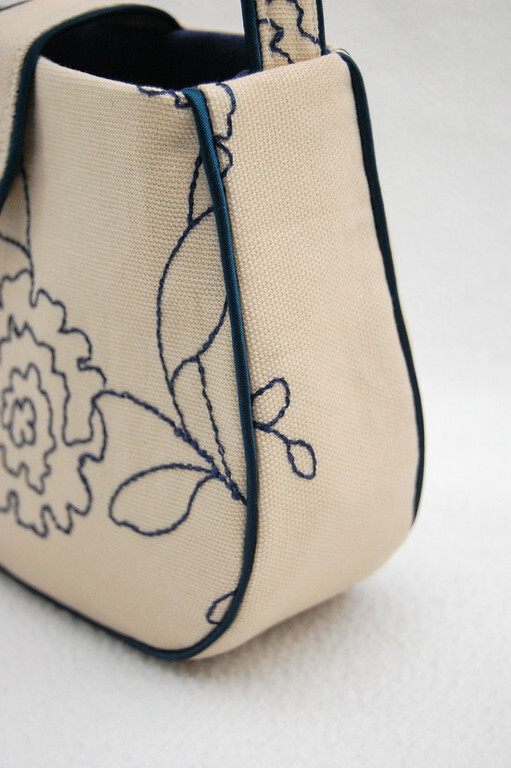 I often insert straps into this seam as I edgestitch the bag and lining together but in case it sounds too fly-by-the-seat-of-my-pants to you, I'll throw in some extra steps. the straps are upside down rather than pointing up as they would be in the finished bag. 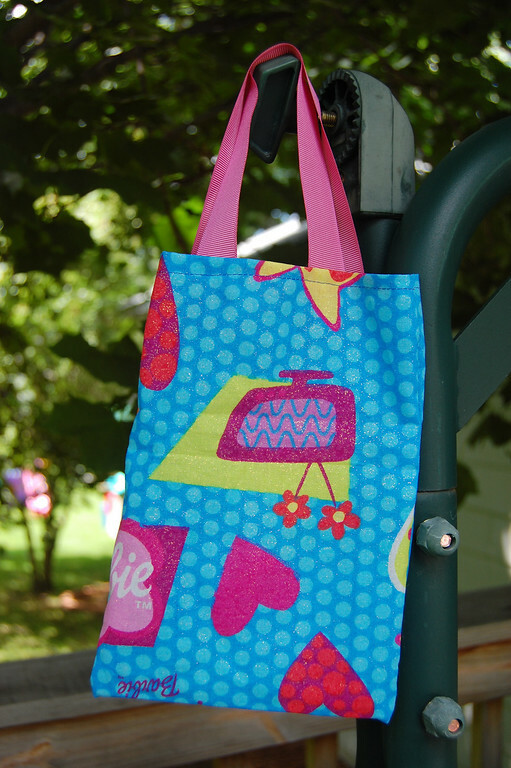 Here's another bag with fancy applique detail on the bag body. The ends of the strap line up with the ends of the applique so that, when finished, the whole thing looks forms a continuous loop. Serves zero functional purpose but is, as I said earlier, fancy. The actual sewing of these two layers together will be done in a later chapter but here are just some photos of how this seam looks with the straps inserted. 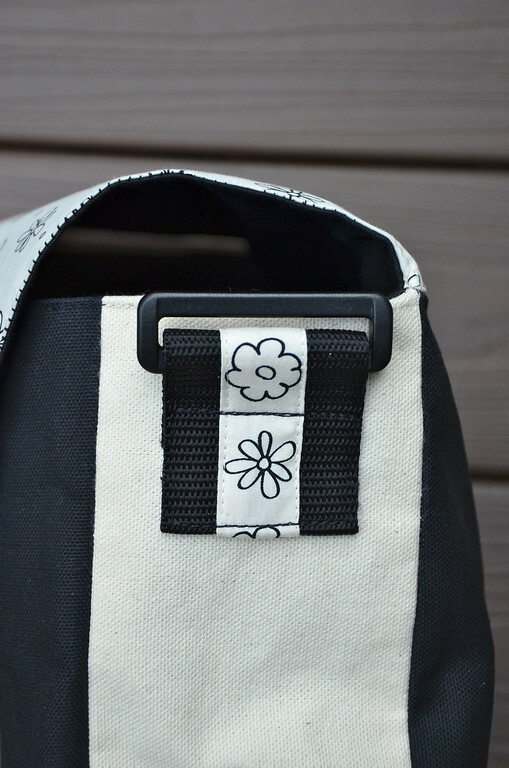 Because the straps are inserted between the layers, both the outside bag and lining equally "share" the straps, making the straps truly reversible. 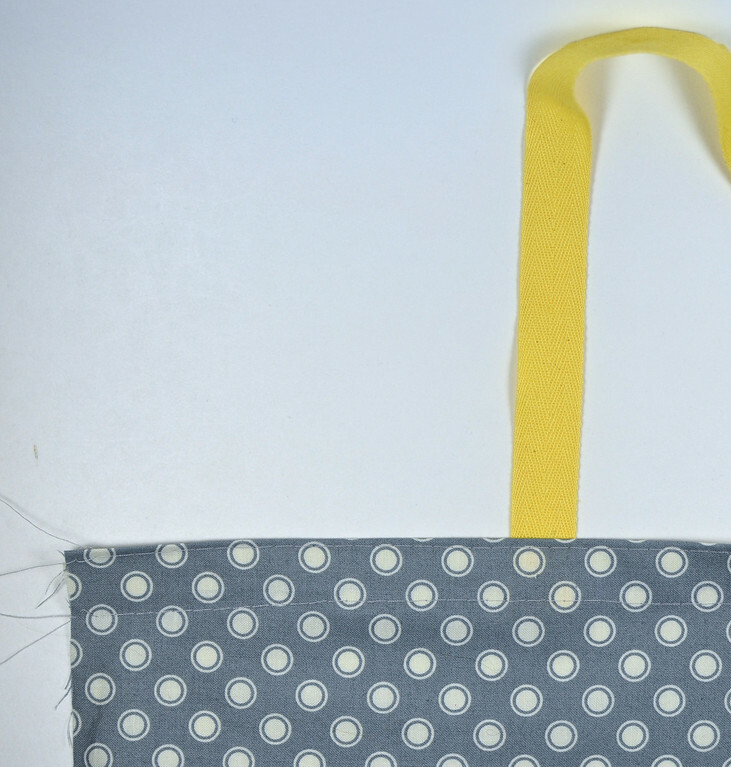 This allows the entire bag to be "equally finished"
Here are straps inserted into the seam joining the gusset to the back. 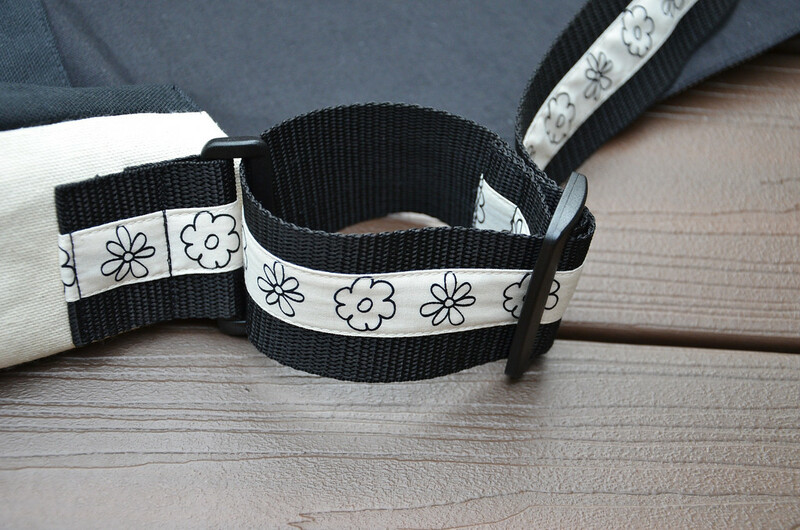 Notice that these straps are closed on their lower end, with webbing protruding for buckles. We'll be doing closed-ended straps in the next chapter. In addition, these straps are also curved and padded - two details that, like the piping and tubing earlier, are merely distractingly interesting but do not actually affect their method of construction or their method of attachment. Sometimes you don't want to line a bag. 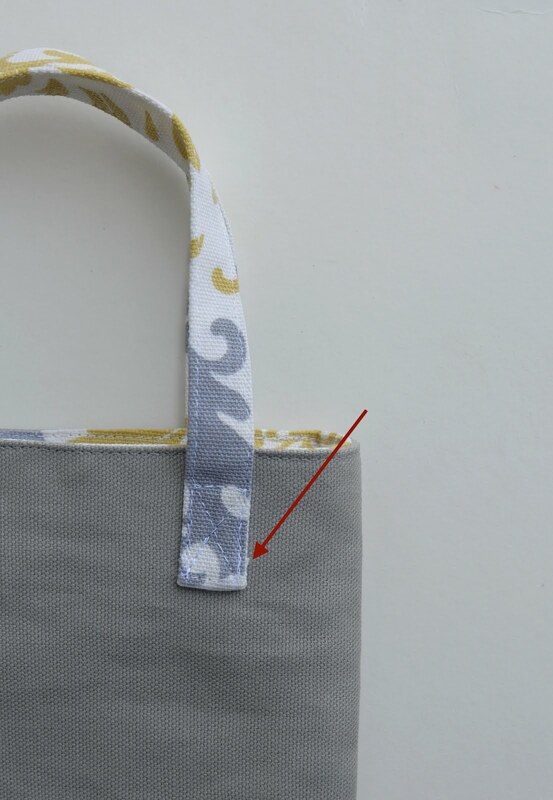 An unlined bag doesn't have that second layer of fabric with which to form a seam around the bag opening. 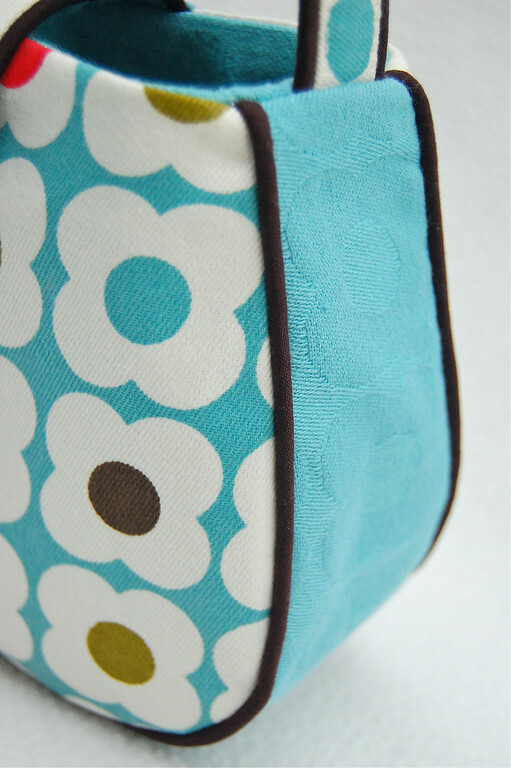 However, there are still ways to hide the raw ends of the straps as you attach them to the bag. 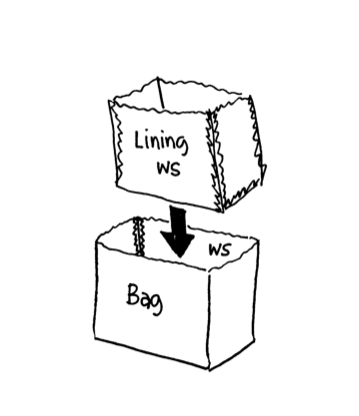 One way is to introduce a facing, which creates a seam at the mouth of the bag. 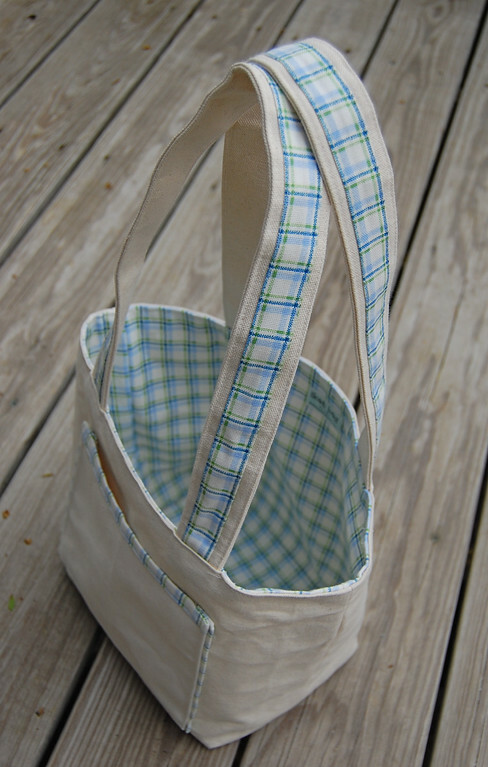 Think of it as a partial lining that manages the mess of raw edges at the top of the bag but doesn't extend all the way down the rest of the bag. 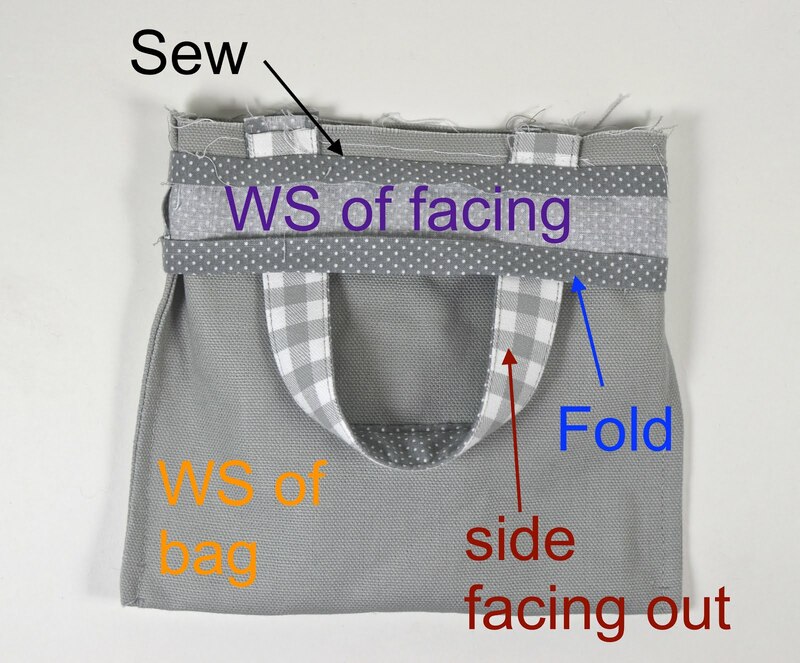 Often, facings are sewn to the WS(inside) of the bag but here is a way to sew them to the RS(outside) of the bag for added decorative effect. The process begins on the WS of the bag. First the straps are sewn on, then the facing layered on top of them. 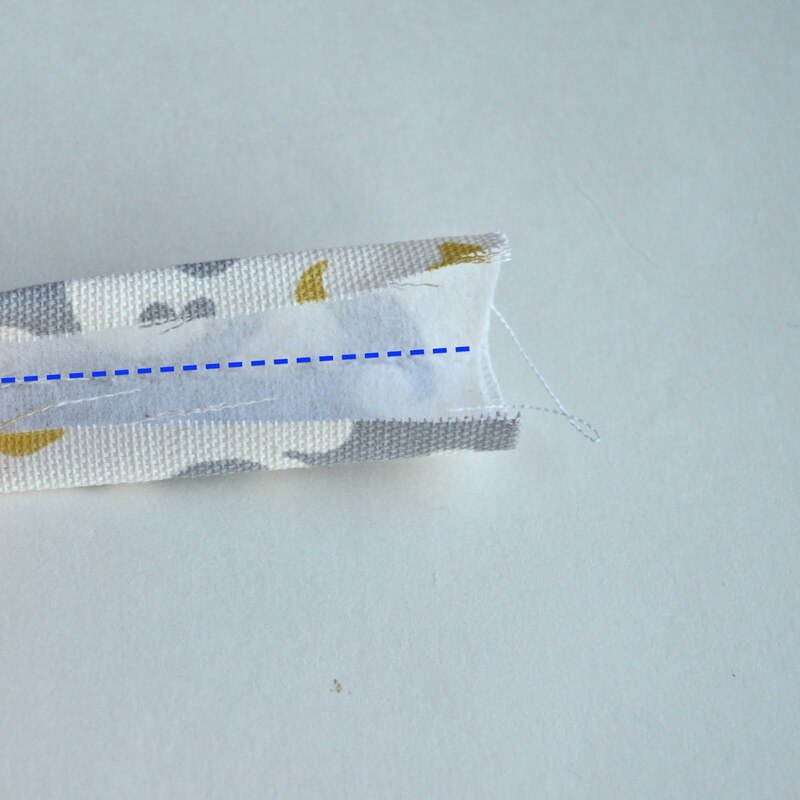 The top edge of the facing forms a seam (black arrow) with the top edge of the bag; the bottom edge of the facing is folded to tuck away its SA (blue arrow). 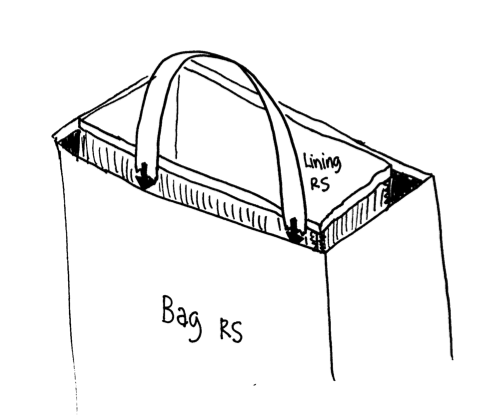 The facing is then flipped over to the RS of the bag and edgestitched onto the RS of the bag. Instead of a seam, you can create a hem at the opening and, with some sneaky folding and tucking, hide away the straps ends within it. 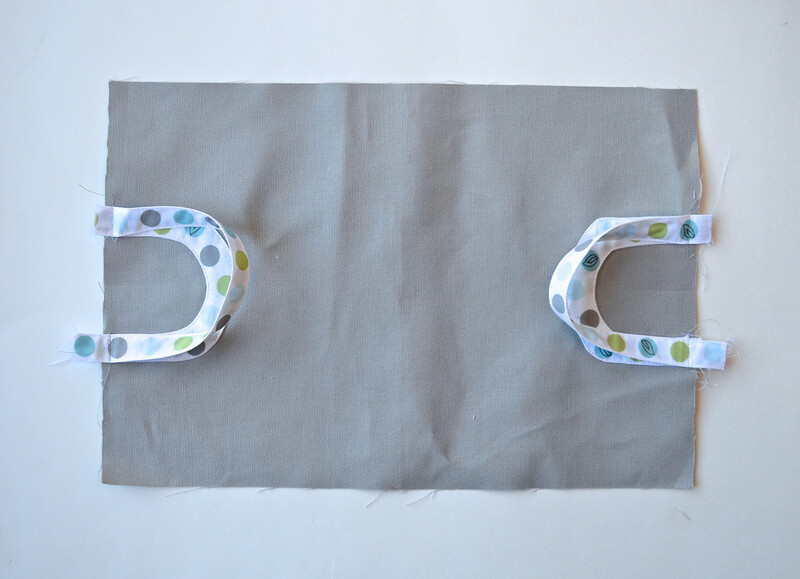 This method is good for lighter fabrics because of the bulk that accumulates in this hem. 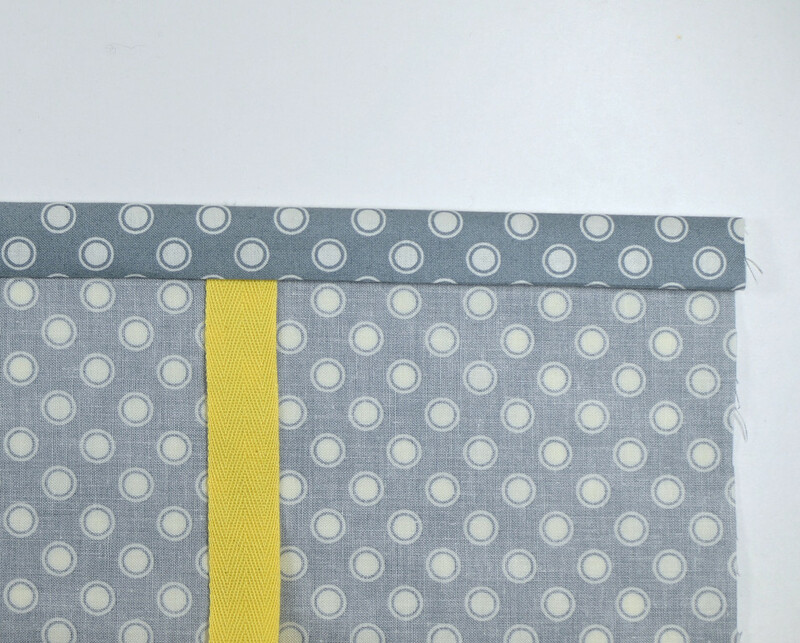 Start on the WS of the bag and make the first hem fold. and slide the end of the strap into the hem. 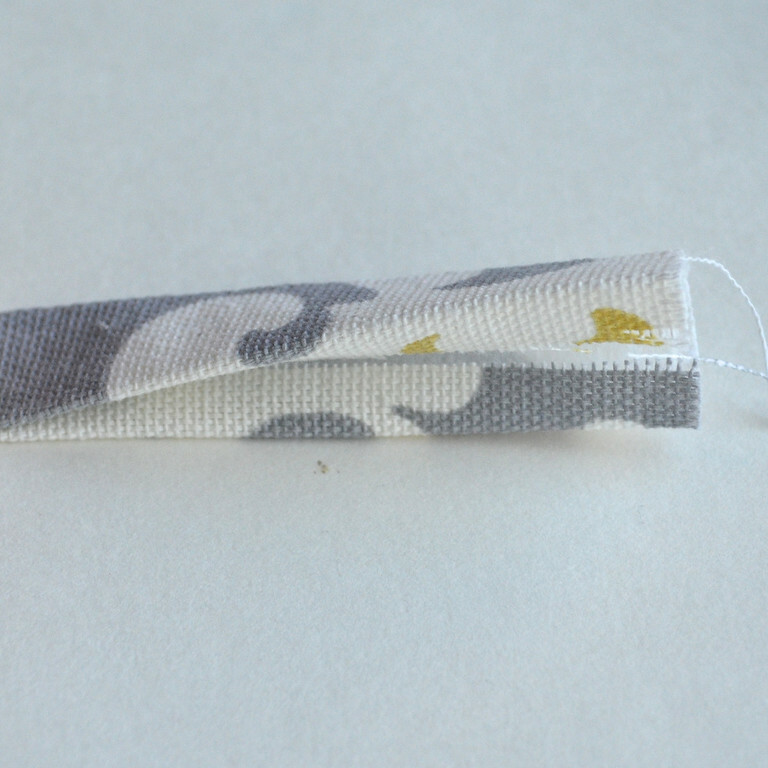 and topstitch the hem down, securing the strap at the same time. Here is the RS of the bag with the strap attached. 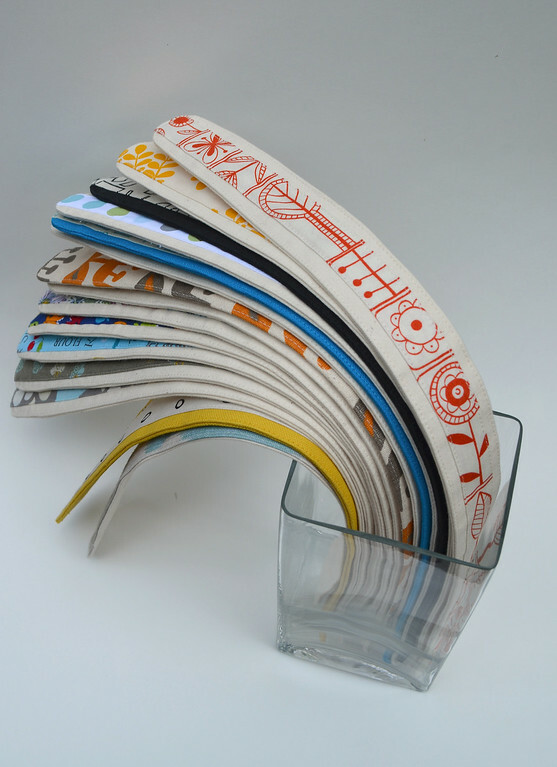 This same method also works with edge binding. Straps can be inserted into the binding (here the straps are inserted on the RS) and stitched down along with the binding. This method is actually more elegantly done with a closed-end strap but many people (including me, even though I am not proud of it) do it with open-ended straps. 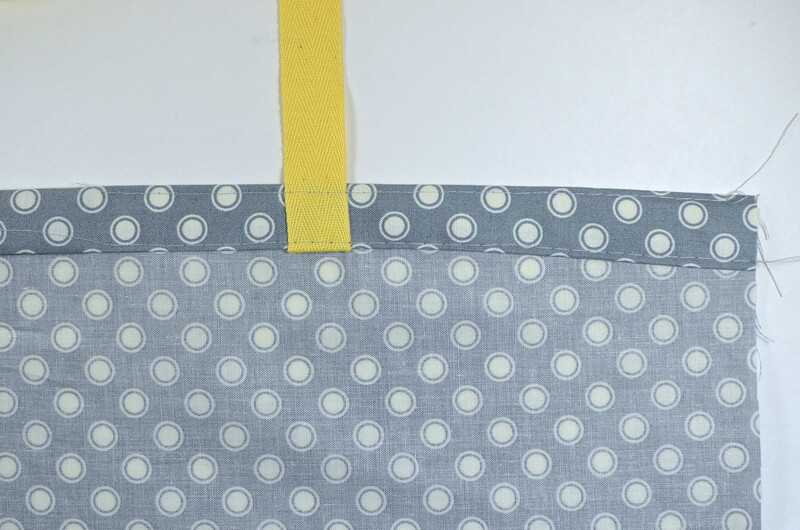 The ends of the strap are sewn, right-way-up, to the bag as shown. 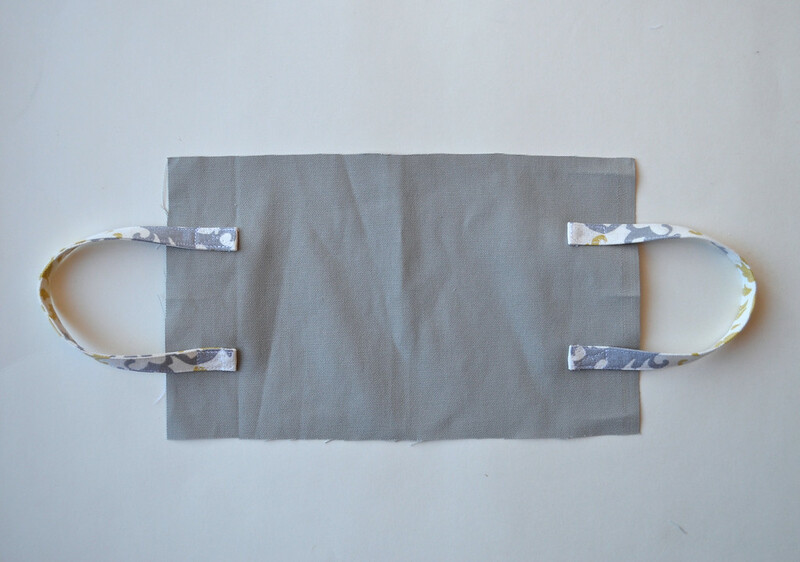 The raw ends are folded under and sandwiched between the strap and the bag fabric. 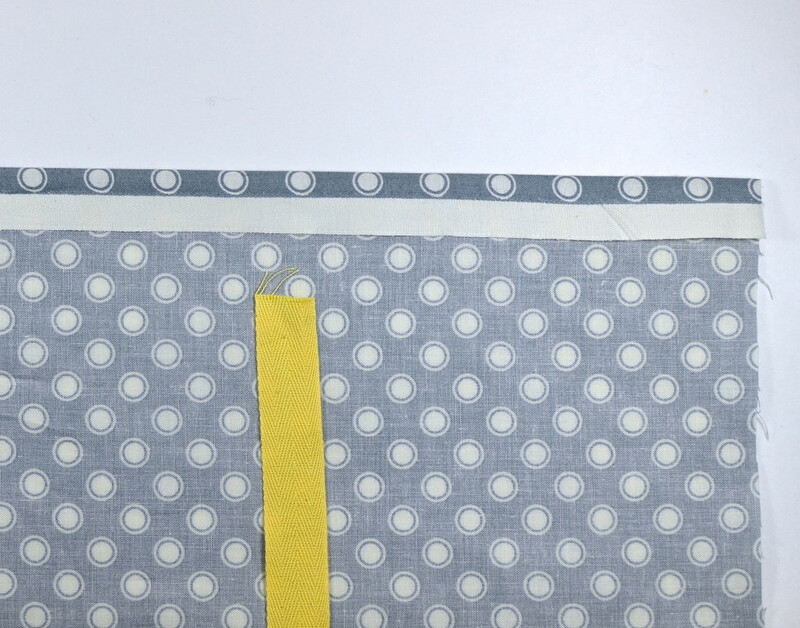 Many people use this fancy X pattern of reinforcement stitching. But look at the red arrow -you can see a corner of the raw edge sticking out. It gets even harder to prevent this when you're using thick fabric, not to mention how much extra bulk that folded end adds. For these two reasons, I advocate using this method for closed-end straps. 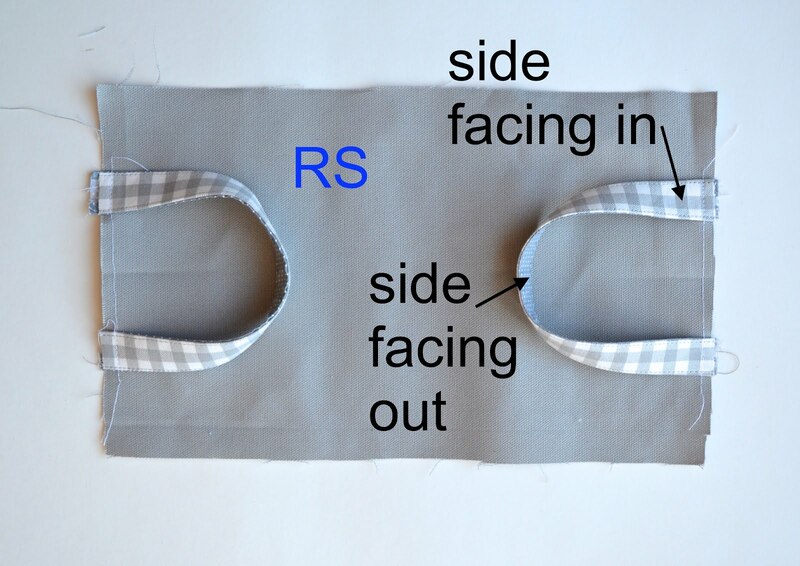 Here is a series of photos showing how a typical buckle-and-sliding-strap system is attached to a bag using this "externally-sewn-on" method. 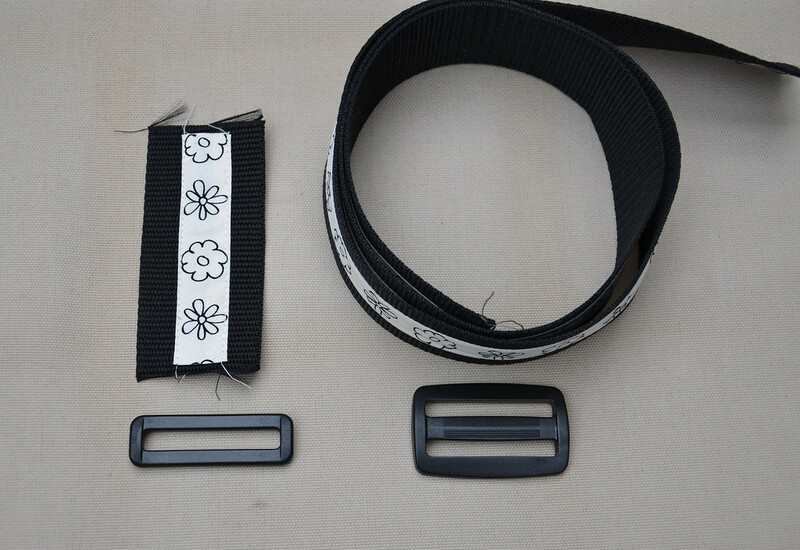 The strap in this case is nylon webbing which, by nature, has open/raw ends when cut to length. 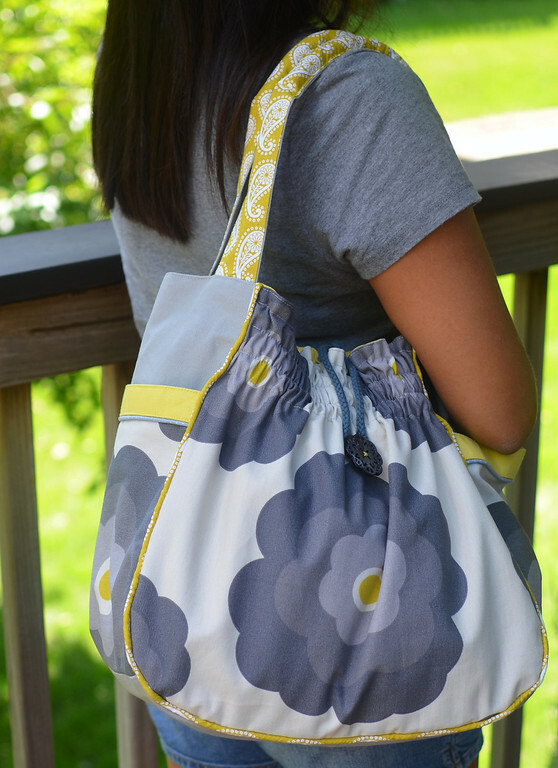 The loop-and-short-strap are attached to one side of the bag. I tucked the fraying ens of the strap in between the webbing and the fabric of the gusset. 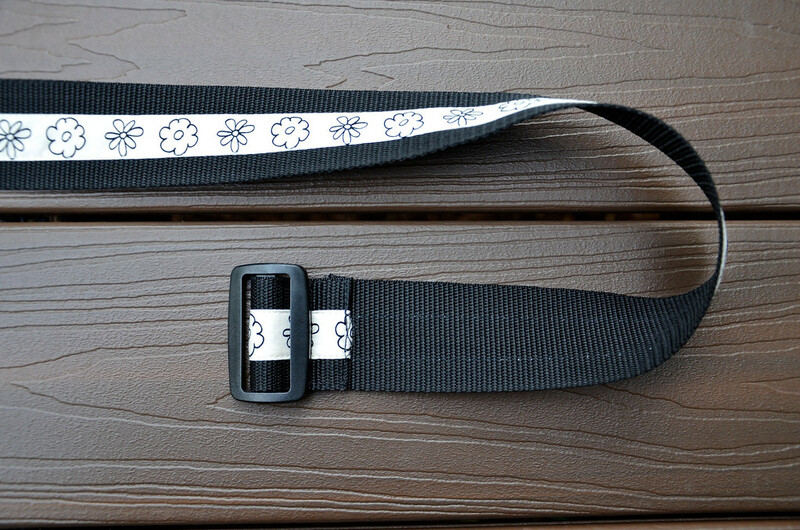 The slide buckle and the long strap go together, with the end of the strap sewn around the middle bar of the buckle. and the free end sewn to the other side of the bag gusset. (Left picture) Sewn only to the outside of the bag, the strap is not reversible with the bag. 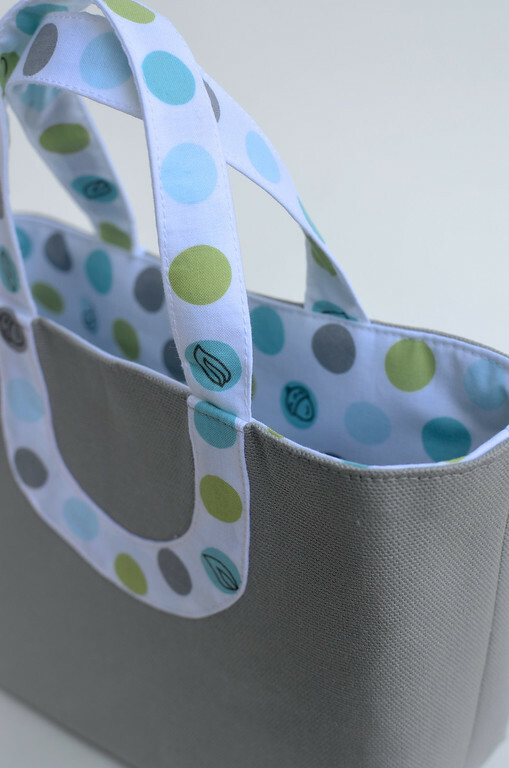 (Right picture) Sewn into the seam, the strap is "shared" by both layers of the bag and, apart from the sliding buckle being back-to-front in the lining-out configuration, allows the entire bag to be fully reversible. 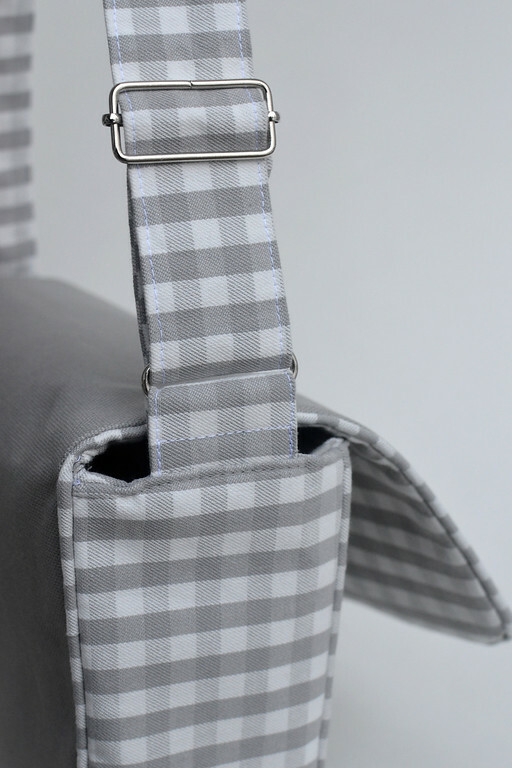 This is actually a photo of a camera strap but the concept works for bags as well. Here, the open ends of the strap are enclosed within sleeves (the black things). 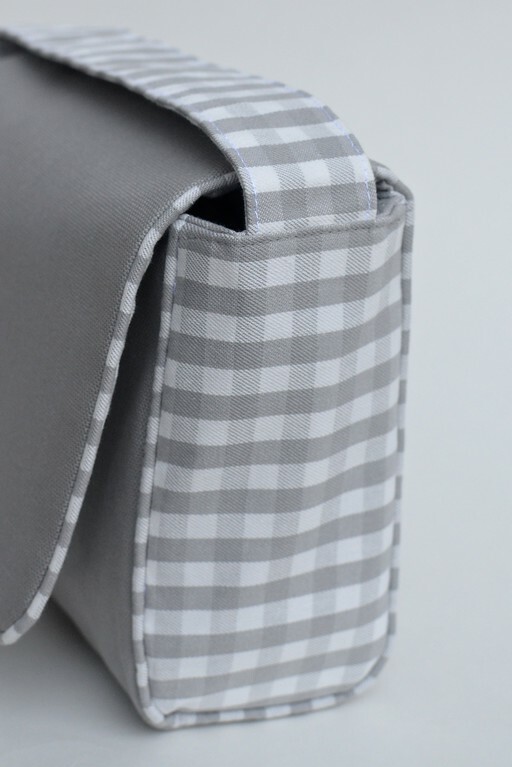 The sleeves are as much decorative as they are a means to finish the raw ends but they also serve a third function of attaching the whole strap to a bag by buckles, buttons or similar. 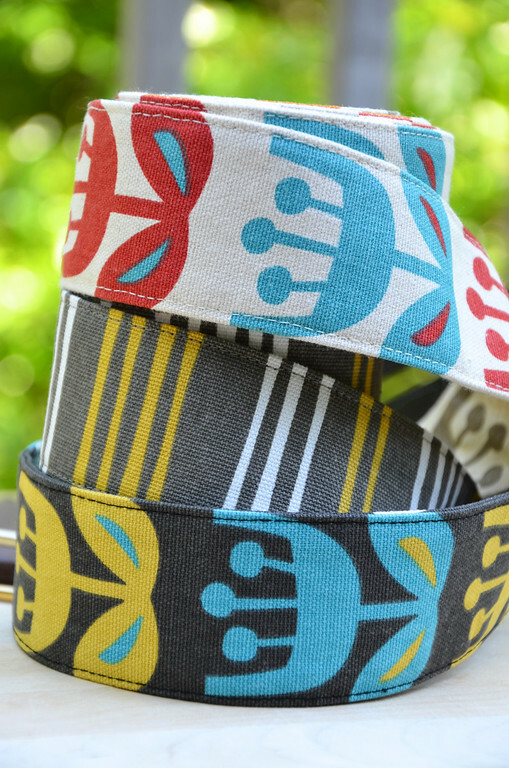 Such straps can be made detachable or permanently attached. This is marvelous - my favorite "bag" post so far! You are an excellent teacher and so generous...thank you! Thank you for your generous sharing of your knowledge and experience. This is a wonderful tutorial. Awesome instructions! Thanks so much! Great instructions! I love stiff straps too. I've already learned so much! Thank you! Thank you, LiEr! Love how you describe everything with detail but without fancy words to make it easier to understand. I am enjoying this and learning a lot!!! I think that camera strap was the first project I ever "saw" you do. 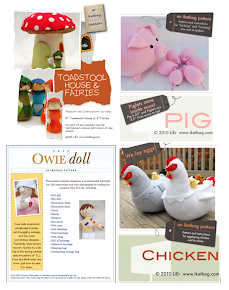 I've been following your blog ever since! 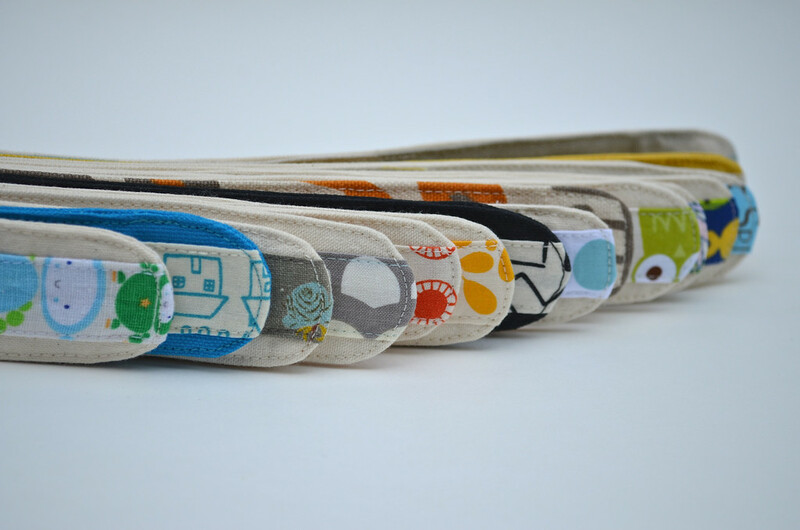 What a beautiful array of straps... and bags! I *love* piping. :) Your piping looks really perfect. Do you make your own and if so, any tips? Mine is never tight enough and always has a few wrinkles after being sewn into the finished product. 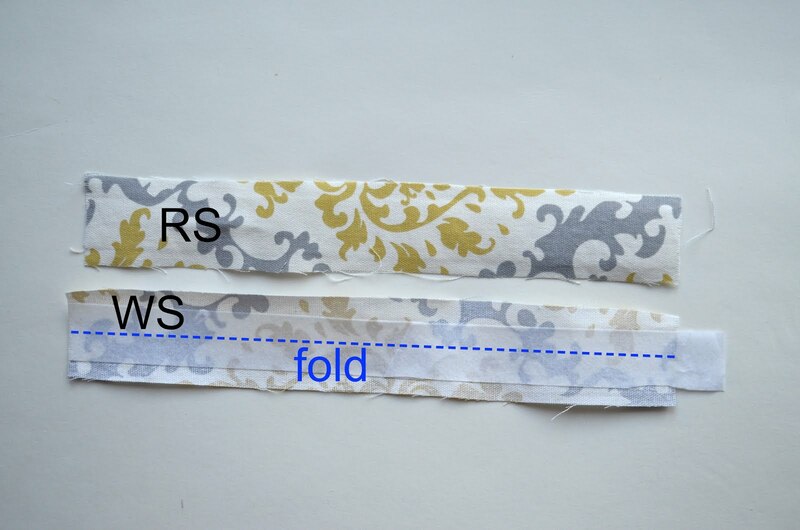 Clara: RS = Right Side of the fabric (or piece) and WS = Wrong Side of the fabric or piece. Wonderful tutorial!! Thanks sooo much!! WOW!!! thank you for taking the time to show this. Such a comprehensive guide with great photos. Love it! Wow! I'm so glad I found this very thorough explanation. Thank You! OMG..... i had so manny troubles with my strep and buckle, but the tutorial of yours keep my going and...now i have my own back with buckle....soóóóó happy..thank you verry much! I have learned so much. Thank You! Just one question though. You haven't given any measurements for the length of the handles, is there a formula, or is it just by sight?